Superannuation is neither set-and-forget nor fully DIY, so savers need to understand what they can control and the impact this will have in retirement. That’s according to BT Financial Group’s head of technical literacy Bryan Ashenden. 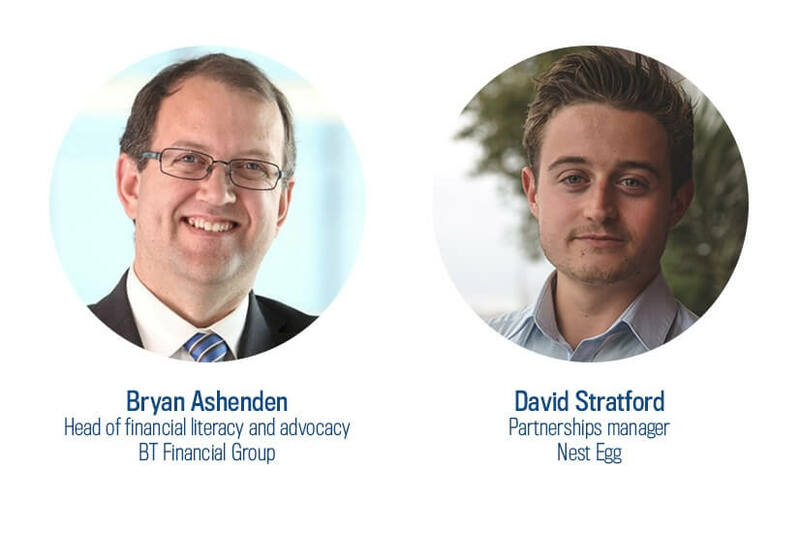 Speaking with the Nest Egg podcast team, Mr Ashenden said there’s always a lot to say about super, but the critical area for awareness is how the 1 July 2018 changes will impact superannuation, and SMSF strategies. “We really need to make sure everyone understands about what the changes are and we don't overreact to them,” he explained. Thanks, Bryan, for sharing your insights with the Nest Egg podcast team! You can stay up to date with what Bryan and BT Financial Group are up to here. David: Good day and welcome to Nest Egg Podcast, David here. Catching up again with Bryan Ashenden. Bryan, thanks for coming on the show. I think we've got plenty to talk about in terms of the SMSF space, general investments, and looking at it in a way where last year we saw plenty of regulatory legislation coming into effect, or at least being announced. But I think a lot of our readers and listeners here are going to want to hear a bit more about how that's transcended into 2018, what does the outlook look like? Is it a bit doom and gloom, or are investors and SMSF trustees looking for the bright side here? Bryan: Yeah, there certainly is a lot to talk about, Dave, in terms of changes to super and unfortunately, it always feels like that is the case. But I think if you look back to the changes that got announced and came into effect from July last year, people really focused about, "What do I need to do with my retirement savings?" And planning around the changes that were going to come in from 1 July, which is really about, "Do I need to do anything, or can I just leave it as things stand right now?" The biggest thing that a lot of people need to focus on now will actually be, "What do I have to do at 1 July 2018 and what's now actually different?" Because it really is coming into this end of financial year where you're going to see the differences start to come through. David: Yeah, for sure and I'm sure in your time as well, you've seen some of those changes that have come into effect before, you've seen these things happen and you might have an idea in terms of where things could possibly go. And just bringing this back to our readers out there will be familiar with Bryan Ashenden from our investment insights across Nest Egg. But Bryan, you're the head of financial literacy and advocacy for BC Financial Group. And across that side, you've also see not just the SMSF side of things but looking at this as a retirements point of view and also on a personal investment tip for finance in that space, too. Bryan: Yeah, absolutely. There's been a lot of change I think over the years that we've seen but these ones that came through from July last year probably are the biggest ones for a lot of people that actually start to take notice about because we're going back to a regime that we sort of had a number of years ago where, for people it feels like there is a limit on how much you can actually save inside super. Which in itself is not quite true. There's a limit on how much you can get in, but not how much you can actually hold inside superannuation. I think the biggest one for a lot of people to understand was that with the changes that came in July last year, if you were fortunate enough to be in that position where you had more than 1.6 million dollars sitting inside the superannuation system, nothing said you had to take the money out. You just had to look at where it was held, or what was held in pension versus what was in accumulation. But again, I think that's a lot of the messaging that we really need to make sure everyone understands about what the changes are and we don't overreact to them. And I think that's the sort of thing we've seen in the past. People get a bit concerned, they get a bit scared by the level of changes and it's really important to take the time. David: Yeah, for sure. And I think when you go into not just super but across towards the SMSF side, you're looking at something which, potentially you're looking for your own way to manage or, in a sense, own your own investment on that side of things. But the biggest thing as well is what comes of it is that compliance, the legislation that they have to follow, and that can be an absolute whirlwind, or if not a maze, trying to get through. Especially today's announcements that we've had last year, which are coming to effect of course in July this year. But essentially with that 1.6 million cap which came into effect. So, we're looking at this from different levels. Some people would be above that 1.6 million cap, but at the same time for anyone who is below that, I know there's a few things were everyone can put their super into anything these days, but what would you envisage someone who is below that 1.6 million cap at this stage to start building and accumulating wealth and making their super work a bit harder? Bryan: Yeah, I think the first thing always is to remember superannuation is such a great vehicle for investing towards your retirement. That's the purpose of super anyway, but with that maximum 15 per cent tax rate on your earnings, obviously it's something you've got to look at, and how do you take the maximum advantage of it. So if you're below that 1.6 million dollars, you've still got to think about what are the options to actually get money into super? We have a contribution cap for your after tax contributions now of $100,000 a year. But like we had in the past, we've got the abilities, the bring forward provision, and get up to three times that amount in. So you could do up to $300,000 in one year. But you have to be very careful about the level of contributions that you've made in the last couple of years because it can actually impact on that and have a limit. And that's where some of that complexity really comes in for the contributions this year, because it's the changeover, the numbers are all a little bit different and it will probably take a couple of years before we can just go, "It's the 300,000 over three years." It's that bit of complexity. But I think that's the important thing is for anyone who is in an SMSF to really remember that SMSF is spelled S-M-S-F, it's not D-I-Y. And in the past, a lot of people thought it was a DIY fund and you have to do everything yourself. It's absolutely not the case. At the best run SMSFs, people don't do it all. They will get help along the way, whether that be an expert help from an advisor, from the administrator or the accountant that looks after their fund, just to make sure everything is done the right way, it's done on time. And really as a member and as a trustee, you just have confidence that you're gonna make the right decisions. And do the right things. Cause there are opportunities. David: Absolutely. I think, amazing you said that as well, because there are opportunities and there's so many different avenues that an investor can go down in terms of that route and in terms of this industry, which is one of the most well thought-out or at least well established in terms of Australia in investments and that side of things. But saying that, there's also opportunities for SMSF for super holders to look at first-time super buying schemes, for example. Now, that's something which, and correct me if I'm wrong but five plus years ago, that wasn't probably on the cards as much as it is today. We've given the markets in terms of property, but looking at that foreign opportunity for someone, how would they use their super or at least their SMSF investments to get involved in that strain of things? Bryan: I think this is a really interesting one that the government introduced. The ability to use your super to buy a home, when you normally think, no, super is for retirement purposes, so how do we do it? The big one here I think, for a lot of SMSF members themselves is it may not be relevant for them because they might already own property somewhere. Outside of the superannuation system. But I think that it does is it really provides ... It is an opportunity for some people who still don't own their own home to think about how I can use super. But also, really interestingly, it's the way people can use their SMSF to start educating their kids about finance. Because if it's a case of going, "I want my children to be able to buy a house at some point in the future," then you can, from this year going forward, you can start to make some contributions into super and you might put it into your SMSF and have your child join. But put some money in there that you know in the future they can withdraw some of that towards the deposit of a first home. Now depending on where you are, the amount you can get out, which under the current limits is gonna be a maximum of 30,000 dollars, might not go a long way towards that deposit or the purchase price of the house but it's still something. But I think the benefit of that is at least you know the money is put away. It's put into super, so it can't be used for anything else. So any parents who are concerned about, I put some money aside for the kids or I give it to the kids for something and they're gonna run off and spend it elsewhere, if it goes in a super, the only way you can withdraw, other than your normal retirement conditions, is to go towards that first home purchase. So it's very heavily regulated as to how you can use it. So if you get the kids involved, if it is in an SMSF then they have to be involved in the fund anyway. So you start to educate them about superannuation generally and then they've got the benefit of potentially taking that money out towards that first home deposit. Or if not, it's a boost towards their retirement. So there's a whole range of benefits I think actually come out of it beyond just, "How do I pay for that first home?" David: Yeah, big time. And I think just that super in general and using that, to use your strategy, is it better to get in there earlier as possible, or some people that have been accumulating wealth in super for a while and they know how their investments work. Sometimes they may feel it might be a bit set and forget, but can you actively manage your super and raise and accumulate towards it for the lifestyle that Australians want? Bryan: Yeah, absolutely. I don't think you should ever think about your super as being a set and forget because it is a case of, today's opportunity will be different to the opportunities that come up in the future. So you always need to look at it, but it doesn't make you have to go and change your investments. It's just one of the philosophies around your super and when you're running your own fund is that you've got an investment strategy, you've got a goal that you're trying to achieve, and you should be regularly reviewing your investments to see, is it helping you get there? Because investments will perform differently over time, same as your goals might actually change. The goal you have for the retirement lifestyle you want can change over time, so that will effect how much you need to save towards it. There might be other circumstances that will impact when it is you're actually planning to retire and if so, what kind of impact does that have? It's never set and forget. And I think it's great in the SMSF environment in that sense that there's really no restrictions about how you can invest into. Certainly not under the super law. There might be other restrictions that can limit how much you can invest into particular things, but the investment universe is pretty wide and pretty broad so anything is up for consideration. David: Yeah, it's only growing even more. I think, and this is me speaking on terms where my experience comes into probably the last two years in Australia and looking at how, not just governments, but how people can maximise these opportunities for their super. Another one that came into, or was at least legislated late in 2017, were looking at the opportunity dubbed as the downsizer opportunity. So this is something where, and you'll be able to explain a bit more on this, but am I looking at this, so for example as a personal view on this, am I looking at this as something where I have the opportunity to maximise some capped earnings, or how can I use this opportunity in this legislation which is coming to effect July 1 this year, to my maximum advantage? Bryan: I think this, as an opportunity, it's huge for people to really be thinking about. This downsizer opportunity as we sort of refer to it basically says that when you're over 65 and you look at normal super rules, if you're over 65 you can't put money into super unless you made a work test. And then you get to particular age and you just can't contribute anymore. What this does is it says for people who are over the age of 65, you have the ability to actually contribute up to 300,000 dollars per person into the superannuation regime if you sell a house that is eligible for capital gains tax exemption because it was your principle residence at some point. I think that's the important thing as well, it's not you have to sell the house that you're in today. It's about can you sell a property that you own that is eligible for some capital gains tax exemption because at some point it was your principle residence. So you might have been renting it out for the last five years, ten years, but you sell it, you can put up to 300,000 dollars, so as a couple it's 600,000, doesn't matter if it's only one member of the couple who physically owns it, you can still do up to 300,000 each, of the sale proceeds into superannuation. You don't have to make the work test. You're not subject to this 1.6 million dollar limit as to, "I can't put any more in." You still can. If you're over the 1.6, the only difference is the money will go into super, sit in the accumulation phase, pay maximum of 15 percent tax, you just can't put it into an income stream. But if and when you need the money, you can still draw it tax free because you're over the age of 60. So it's a huge opportunity for people to look at. But again, we call it the downsize and that was sort of the intent, that people, when they're selling the house, the kids have moved out, we're gonna go to somewhere smaller. Theory is, it's gonna be somewhere cheaper, and therefore we can put some of that leftover money into super. But, you don't have to go to a smaller house. In fact, for some people they go and buy that retirement place that might cost them more because of where they actually want to have it. But it also just means that if you've got an extra 300,000 dollars lying around, you can put that money into super. So huge opportunity at that retirement phase to get that one last significant boost to your retirement plans. David: And that really is that, like you said, it's that last boost. It's almost in a way, not taking advantage, but being savvy as someone who is looking at as an investment for your retirement when you want to have that lifestyle that you want to live and I think we can all say that Australians, most Australians don't feel like that's a realistic goal at this stage. So, things like that that come into stages and come into effect over time, essentially can really help out someone who really wants to just get that ultimate boost towards the end of their goal. Bryan: Yeah, it is and I think that's a great example of that. If you're running your own fund, why you need to stay on top of the rules because things do change and it's not always for the negative. There are these real opportunities to look at and they do become time-bound cause using this downsizer as the example, you have to get the money into super within 90 days of receiving the sale proceeds. So if you're not aware of it and someone told you a year down the track, "Oh, you sold your house, you could have done this," you'd be regretting it if you found out all of a sudden, I can't take advantage of it. So you've got to stay on top of the rules and that's why just the education and educating yourself about what you can do and making sure you're staying on top however you do that becomes really, really important. David: Yeah. And I think with our readers and listeners out there as well, the constant consensus of it is that education is such a key point for them. Especially in the SMSF land. One thing that always comes up as well is that when they're muddling through strategy and legislation and regulation and when it comes into effect and what to do, how can they take advantage of these things? How can they get involved in that? Who should they speak to? If they're doing their own education, but is there anyone out there which essentially can maximise that opportunity with them? Bryan: There's a lot of ways that people should be looking at their retirement planning around their super, around the SMSF to make sure they stay on top of it. And there are a whole range of resources. Part of it might well be your readers, your listeners as they are now, just listening to these sorts of discussions, number one it just gives them an idea of what are some of the things. And if it's relevant, then you go, "Where do I do to for the next level of information?" The tax office website for so many super funds has a lot of information on there, so again you can go and look at it. What really becomes important out of all of those sorts of sources though is it's all general. It talks about what the opportunities are. You then need to take it to a personal level and say, "What does it mean for me?" The best way you really do that is actually go and speak with a professional advisor. Because that's the role that they will play. They will say, "Yes, that's the opportunity, that's what you can do, but let's actually talk about the position that you're in and is it an option for you," and then perhaps more importantly, is it the right option for you to do? Cause the last thing you want to do is say, this thing exists, I can do it, and then all of a sudden there was actually some other alternative that you should have been considering as well, and making the wrong decision. David: It's not one size fits all, an SMSF, is it? Bryan: Not at all, definitely not. David: I think it's, for everyone listening out there today, do go out there and explore and educate yourselves in terms of where you can go, because depending on your own lifestyle and what you want to achieve and where you're going, there's so many different avenues where we can cross around. But the fact is there are opportunities and there are things in place out there to really help maximise certain people who have got the, not just the assets, but the drive to actually go out there and learn a bit more, be a bit more savvy, and I think across the Australias in a sense where, the helping where that is, I think 2018 they're gonna need a lot more of that going forward. Is there anything happening this year, apart from some of the legislation that's coming into effect in July, but is there anything else that's foreseeable in your radar that you've spotted for anyone else in this space? Bryan: I think that they're big questions again. The first one is, we're just really implementing last year's changes and again, we'll have another federal budget come up in May and who knows what they're gonna throw up again this year. The other one everyone needs to be thinking about again, it was a change that was announced last year and took effect but again it's something you're only gonna consider as you approach 30 June, is just remembering now that everyone has an ability to claim a tax deduction for some of the money that they might choose to put into super. And in the past it was really complicated, they had this thing called a 10 percent rule and you had to look at how much salary and other income you had. The government thankfully has simplified all of that. And basically it says if you have some room left around your concessional contribution cap, which for everyone is 25,000 dollars a year, so after taking into account any super guarantee you receive, any salary sacrificing you might have done into super, if you've got some of that 25,000 left and you choose to put some money into super, you can claim a tax deduction for it. So it's a real opportunity again that exists that for a lot of people hasn't been there in the past. And then the other one really is just to keep looking and going, "Where's the next investment opportunity and is it right for me?" And I know we've had a lot of people asking questions about things like, "Should I be investing into bitcoin or cryptocurrencies?" And all hose sorts of things and I think it's like any investment decision. There's always risks, there might be opportunities, but you need to be careful, you need to do your research. There's nothing that says you cannot do it, but it doesn't mean you should do it. David: Yeah, for sure. On that note as well, we've actually highlighted a significant growth, as you can imagine everyone is talking around blockchain, bitcoins, cryptocurrency and the cyrptosphere. But having those conversations and regarding that is your SMSF. Your SMSF is built for a long-term, I would say a slow burner, something which is essentially going to be protected. And it is designed for more risk-adverse investments, but can you get crypto, can you get blockchain or that kind of technology involved in your super? And I know you said it's all relative to risk, but that is out there. That's an opportunity in that space, too. Bryan: I think the simple answer is, it's something that you can do. You just then need to work out whether it's the right thing to do. Cause you have to weight it up about what are you trying to achieve? In recent times, I think we've seen a lot of the fluctuation that exists in the valuation around these sorts of investments, and that's the real risk that you take on, I.e., are you investing at the top and therefore your potential upside from here is going to be limited? Or is there still more that might come through? No one can tell you what the right answer is on that. It's a risk you take on and I think you've always got to think about, if I was to invest in it and I lost it, how would I feel? And we're talking retirement savings and I think anyone is gonna feel comfortable taking the risk that I'm gonna lose my retirement savings. So, how much can you afford to do? Is it the right thing to do? Is it gonna help you get to where you wanna get to? Or is there another option that actually might be a bit more safer, more likelier, or better chance of getting you the outcomes that you want? David: Yeah, definitely. I think hitting the nail right on the head there, Bryan. It's pretty much a case where, let's look at this for an investment for a long-term. And you know there are opportunities out there, but be savvy, be smart around where those opportunities lie and what you wanna take on. Everyone's different, everyone's got different goals in the lifestyles they want to lead are completely on a scale of one to ten on one side to the other. And I think, for our listeners out there, that's really helpful to know that they can at least get access to it. At the same time, sometimes taking on that risk, is it the best opportunity? Is it something they really need to think about doing? Maybe. But is it something which they should be thinking about today? I think it's more in, how can we maximise these avenues that are out there at the moment and really take advantage of, not just capital gains tax offlets or anything like that, but more the strategy between, we're here today, don't look at your super in terms of where it's gonna be tomorrow, look at it terms of a longer-term view. Bryan: Yeah, absolutely. It is. Super is a long-term investment. And that's really the only way you can look at it. It's to get to a particular outcome, which is about helping you in retirement. So everything should be based on, how am I gonna get there? David: Yeah, for sure. Bryan, look, I hope our listeners enjoyed this as well but I do know that I'm looking forward to reading a few more of your learnings and wisdom that you share across on the blogs that we share across on investment insights. Bryan, is there anything else that you want to note towards investors for the rest of the year in terms of that super space that we can sort of take off and say, here's something which is happening, where can people get involved? How can people start having these conversations today? Bryan: Yeah, I think just a couple of tips to always bear in mind is to don't set and forget when it comes to your super. Just, always stay on top of it. Keep reading, keep educating yourself about what is happening, whether that is from a regulatory viewpoint or a legislative change, or whether it's just about how investments are performing, where people expect markets are going to go. You've always got to stay on top of these sort of things. And if you're in a self-managed superfund, you've signed up to make sure that that's part of what you're gonna do. So, you made that decision day one, don't think it's now day 100 or whatever the number might be, that all of the sudden it's no longer important. You always need to keep doing it. And again, just watch out for what comes up towards 30 June this year. We still have to think about the changes that were announced that took effect from 1 July. Cause this is really the first time that people will actually have to consider what's the difference this year for me to what it's been in the past? And if you have questions, ask them. Don't be afraid to go and get some assistance to help you do the right thing. Because at the end of the day, it's about your own retirement. David: Keep your eyes peeled on this one for sure, I guess. Bryan, thank you very much for coming in. Really helpful insights from you as well, and look forward to speaking to you again soon. Bryan: No worries, thanks Dave. So that's all from me. Thanks again for listening and see you soon.